By default, your account owner is considered your billing contact and will receive your bill for Fastly services. You can change your billing contact at any time if you've been assigned the superuser role for an account. If you ever delete your billing contact, billing will automatically revert to the account owner. IMPORTANT: Invoices are only sent to the email addresses of the Account Owner or the Billing Contact. Invoices are not sent to every user assigned a billing role. Follow the steps below to have your billing invoice sent to a person other than the owner of your account. To send the billing invoice to a user who has not yet created an account, follow these steps. Click the User management link. The User management page appears. 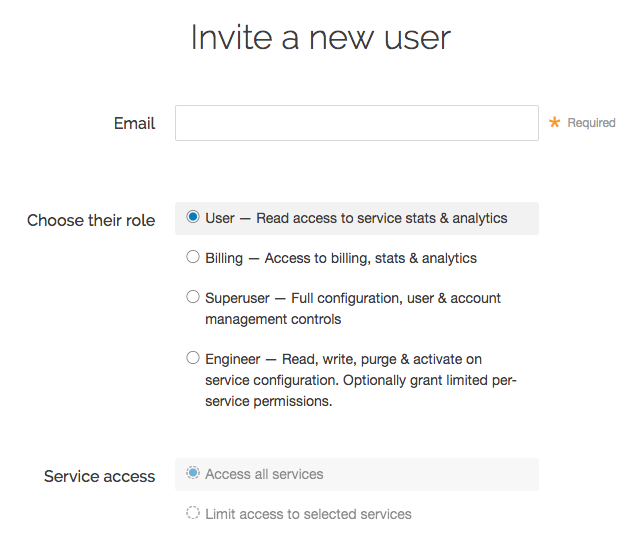 In the User Invitations area, click the Invite button. The Invite a new user window appears. In the Email field, type the email address of the user you'd like to invite to become a billing contact. TIP: To send invoices to multiple people, we recommend setting up a group email address and setting that email address as your Billing Contact user. From the Choose their role options, select Billing. Click the Invite button to send an invitation to the email you specified. Once the user has accepted the invitation, return to the account information in the web interface. Click the Company settings link. In the Company settings area, select the user's name from the Billing contact menu. Click the Update Company button to set the billing contact. 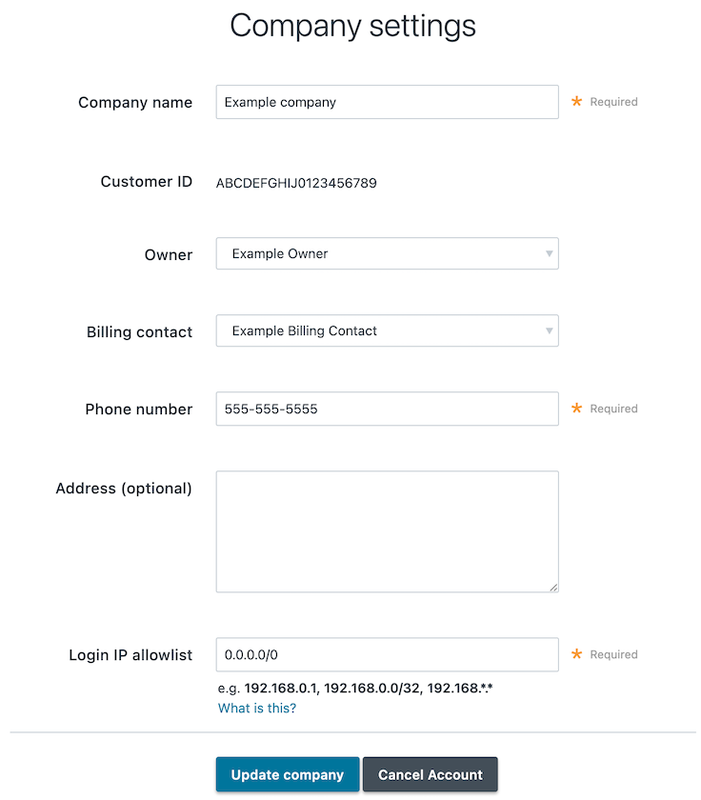 To send the billing invoice to a user who already has an account, follow these steps. In the Company Settings area, select the user's name from the Billing Contact menu. Make sure the user name you select has the correct role assigned to view and manage billing information. Click Update Company to save the billing contact.